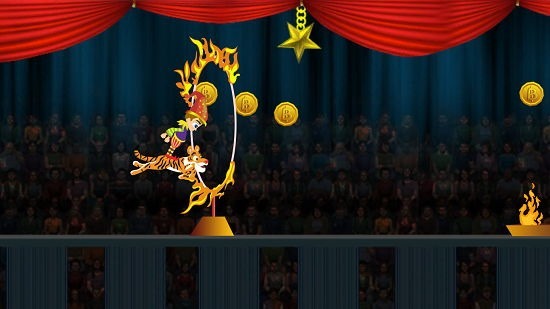 Funny Circus HD Free is a free circus game for Windows 8 and 8.1 which allows you to play as the tiger tamer who has to jump through the blazing circus rings along with his tiger. The game is very lightweight and can be downloaded easily for free from the Windows App Store. The game when launched will allow you to start the game or view the credits, the credits screen allowing you to see the names of the developers who have created the game and the Play button taking you directly to the gameplay screen. The game has very simple controls where you simply have to click (or tap on the screen in case of touch devices) to jump through the rings. Funny Circus HD Free is available for free from the Windows App Store. When you launch the game on your device, you will be presented with the following screen. In the above screen you can start the game by clicking on the Play button or you can also tweak the sound settings by clicking on the sound toggle at the top right corner of the screen. You can also see the credits by clicking on the Credits button in the main screen of the game. 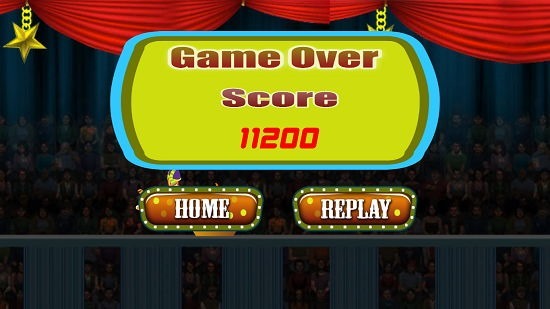 When you click on the Play button, you’ll be brought to the gameplay screen of the game. In the gameplay screen, you can jump through the rings by simply clicking on the screen. You can also tap on the screen on touch devices to jump through the rings. You play as a guy riding on a tiger who automatically keeps moving on the ground, and all you have to do is to control it appropriately by jumping through the rings. If you crash on the rings, your game is over and you’ll be taken to the game over screen which is displayed in the screenshot below. From the above screen you can choose to replay the game or go back to the main menu. In the main menu when you click on the Credits button you’ll be taken to the below screen where you can see the names of the developers of the game. 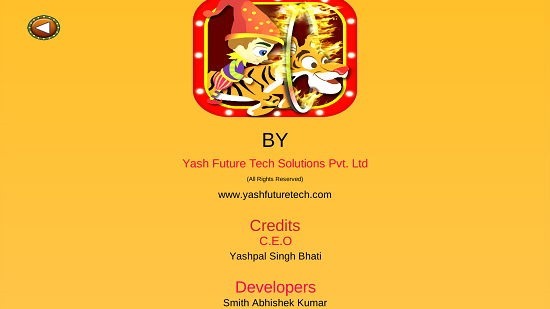 This concludes the main features of Funny Circus HD Free for Windows 8 and 8.1. Funny Circus HD Free makes for a good app to while away your time. You can get it from the link below. 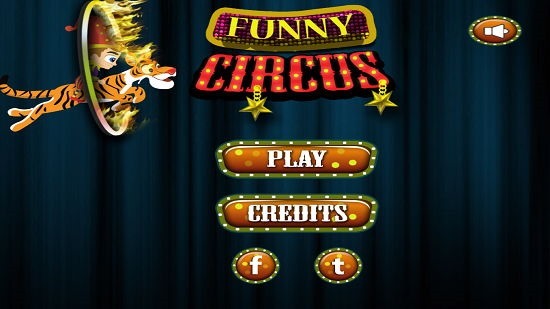 Get Funny Circus HD Free.